A groundbreaking radiotherapy machine that can track the changing position of tumours in real time will soon be used to treat cancer patients in the UK. The £10.1 million MR Linac machine will be put into use next year, after undergoing final testing and will be the first to be installed in the UK. 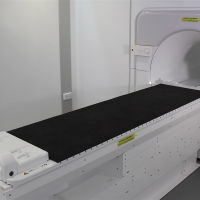 By delivering focused X-rays precisely at tumours while constantly monitoring their location, it is expected to make radiotherapy much more effective and safer for patients. Many cancer tumours shift position during radiotherapy or between scanning and treatment. Breathing, bladder filling or bowel changes can all affect the location of cancer - raising the risk of radiotherapy being off-target. The first trial patients with hard-to-treat cancers are due to have therapy from the machine in the second half of next year. Professor Paul Workman, chief executive of The Institute of Cancer Research, London - where much of the development work was carried out, said: "The MR Linac is our flagship project in a programme of research to apply state-of-the-art technology to create smarter, kinder forms of radiotherapy. "We believe the new system can revolutionise treatment by delivering beams of radiation precisely to tumours, even as they shift slightly in the body cavity, and so avoid potential harm to healthy tissue." Most of the high price tag for the machine was paid for with a £10 million grant from the Medical Research Council. A purpose-built treatment suite containing the MR Linac has been built within the radiotherapy department at the Royal Marsden in Chelsea. London mayor Sadiq Khan, who officially opened the facility, said: "This truly ground-breaking device is the first of its kind anywhere in the UK and has the potential to transform the care that cancer patients receive. "The MR Linac will give patients access to the most cutting-edge treatment available, which could help to save lives."